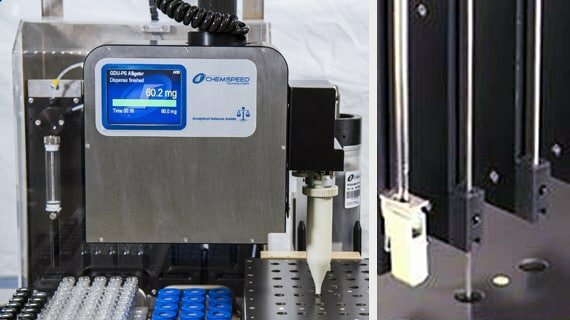 The leading technology in overhead gravimetric dispensing / dosing (patented) combined with our reactor and process excellence, and our user-friendly software, allow you to standardize and accelerate your process R&D and preparative synthesis workflows. Up to 36 experiments per run on an autoplant, up to 6 experiments per run on a multiplant. Independent control of all process parameters in each reactor with PAT like NIR, PSD, calorimetry, pH. Independent and precise temperature and stirring control in each reactor. Up to 8 independent gas, liquefied gas and liquid feeds per reactor. 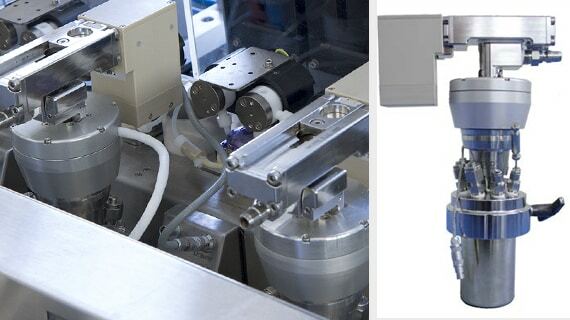 Gravimetric solid and viscous liquid dispensing. Feeding and sampling under reaction conditions. Dispensed amount, stirrer speed, temperature, pressure, time…, and other data are stored in a read only log file. Polyolefin prepolymerizations, solution-, slurry-, bulk-, gas-phase, multi-stage syntheses. Living / controlled, emulsion, suspension, mass polymerizations. Catalyst testing in batch, semi-continuous, continuous mode. With individual sets of conditions for each reactor! 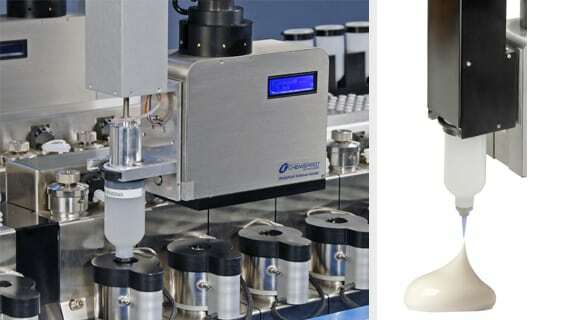 Chemspeed’s MULTIPLANT/ AUTOPLANT deck modularity allows the user to execute and perform a variety of calorimetry workflows in a fully or semi-automated fashion. 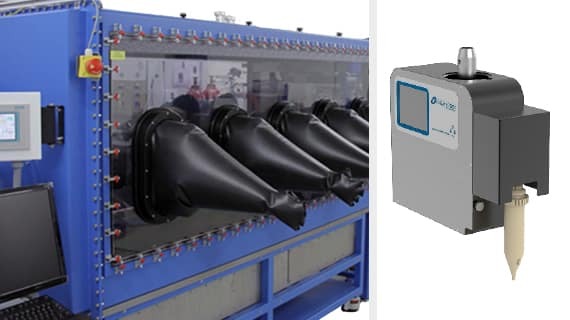 The Chemspeed MULTIPLANT/ AUTOPLANT workstations have been designed for high output experimentation in the development and optimization of pharmaceuticals, agrochemicals, polymers, specialty chemicals, catalysts and many more. Organic and inorganic synthesis, reactions under pressure (process research, optimization and scale-up). Polymer synthesis (mass-, solution-, pressure-, emulsion-polymerization). 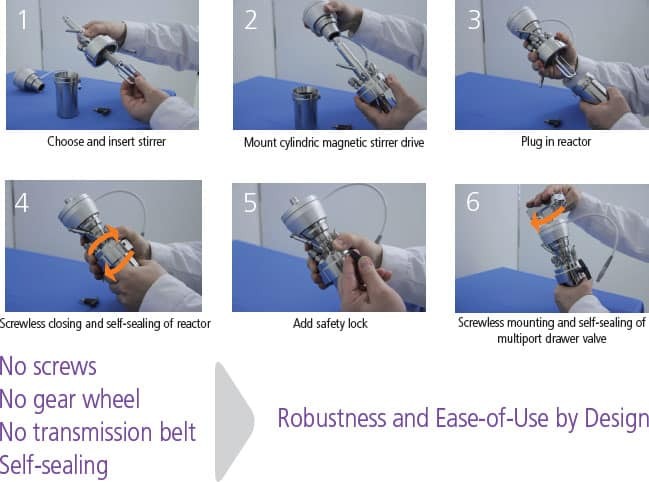 The cutting edge Process Development Workstation Technology allows scientists to truly mimic the final industrial production process and provides all the flexibility to optimize integrated reaction sequences, even if a complex configuration of reactors and feed vessels required. Process reactor assembly, individually controlled tank reactors (reactor volumes 100, 250, 1’000 mL) with precise, continuous feeds. 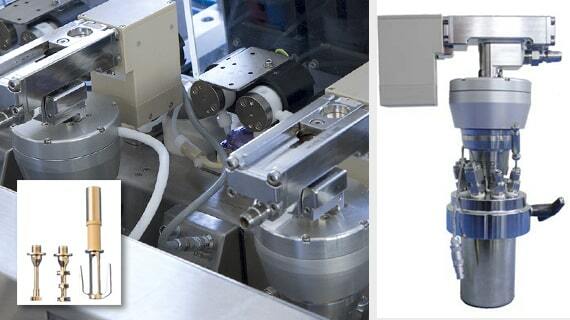 Flexible and precise continuous feeds, down to 10 μL / min. Up to 8 continuous liquid, liquefied gas and / or gas feeds per reactor and additional unlimited overhead access. Accurate and reproducible temperature control, 0.1 °C. Pressure up to 100 bar over the entire temperature range up to 250 °C with corresponding safety installations. Distillation bridge between 2 reactors. Interface to various in-situ probes, for example: pH, UV-VIS, IR, Raman, PSD. Extraction, filtration, evaporation, crystallization, distillation. Easily exchangeable stirrer designs (anchor, twisted blade, gas entrainment stirrers…). Powerful mixing for viscosities up to 80 Pa.s at 300 rpm and 30 Pa.s at 900 rpm with an anchor stirrer. 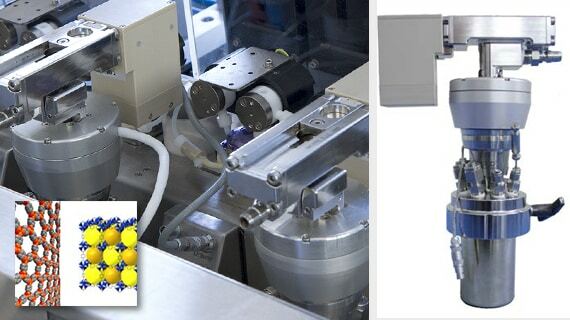 For one single unit, various feeding modes are available: batch, semi-continuous, continuous, continuous cascade.